My heart opened wide when my daughter was placed in my arms and again a few years later when my sons emerged from the airplane that brought them home to me. My heart opened so wide it was as if I birthed them from my heart. There is always a place in my heart for the women that gave birth to these beautiful children and who are not here to see them smile nor wipe their tears. There is always a place in my heart for all birth-parents who against the very fiber of their being; with their hearts breaking open with Love, chose adoption and allowed us to help. Adoption can be a win-win-win situation for children, birth-parents and adoptive parents, when it is right for everyone. All Age Adoption Plus is a full service, Christian, licensed, non-profit agency committed to providing individual care and attention to help you as a birth-parent, prospective adoptive parent or even an older child decide if adoption is right for you. Our staff has all been personally touched by adoption and we are highly trained and experienced. We are available to you every step of the way and after. We work with people of all races, religions, backgrounds, ages and marital status. We will work with you individually, with flexibility and without judgment to provide quality homes to all children. All Age Adoptions Plus places babies and children directly from biological parents. 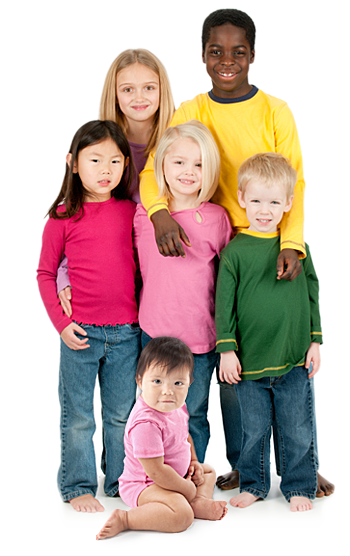 We also coordinate with other agencies to place children throughout the United States and many other countries. Please read through our website. There is always a place in my heart for the women that gave birth to these beautiful children and who are not here to see them smile nor wipe their tears. There is always a place in my heart for all birth-parents who against the very fiber of their being; with their hearts breaking open with Love, chose adoption and allowed us to help. Adoption can be a miracle when it is right for everyone. Joyful World Ministries doing business as All Age Adoption Plus is a full service, Christian, licensed, non-profit agency committed to providing individual care and attention to help you as an expectant parent, not ready to parent; or you who are waiting for a child to come into your home; and foremost the child who needs a secure, safe family where they can meet their highest potential. Our staff has all been personally touched by adoption and we are highly trained and experienced. We are available to you every step of the way and after. We work with people of all races, religions, backgrounds, ages and marital status. We will work with you individually, with flexibility, confidentially and without judgment to provide quality homes to all children. Joyful World Ministries doing business as All Age Adoptions Plus places babies and children directly from biological parents. We also coordinate with other agencies to place children throughout the United States and many other countries. Upon request we are happy to provide you with statistics for the prior three years regarding all of our entire adoption program…to include: the number of placements and the percentage of placements that remain intact, disrupted or dissolve; the number of prospective parents that have applied to adopt and the number of children eligible for adoption and awaiting an adoptive family. Please read through our website. If you would like to talk or have questions, call our office and we would be happy to talk or meet with you…or click Contact Us. There is never a charge for someone who needs a home for their child. Our first visit for prospective adoptive parents is at no charge. Accreditation regulations set standards and are designed to ensure that U.S. accredited agencies and approved persons perform their duties in accordance with the Hague Adoption Convention and the Intercountry Adoption Act (IAA). Joyful World Ministries doing business as All Age Adoptions Plus is in the process of renewing our accreditation through The Council On Accreditation (COA). We are also providing adoptions through the Country of Liberia. If you are interested in adopting from Liberia our staff can help with all your adoption needs which includes matching a child with your family, completing your international home study, helping you with all required USCIS requirements and travel needs and completing post placement services for you. We have a list of children that are freed for adoption in Liberia and would be happy to speak to you in regards to adopting from this country. Upon request we are also happy to provide you with statistics for the prior three years regarding all of our entire adoption program…to include: the number of placements and the percentage of placements that remain intact, disrupted or dissolve; the number of prospective parents that have applied to adopt and the number of children eligible for adoption and awaiting an adoptive family.